My very favorite and simple recipe. 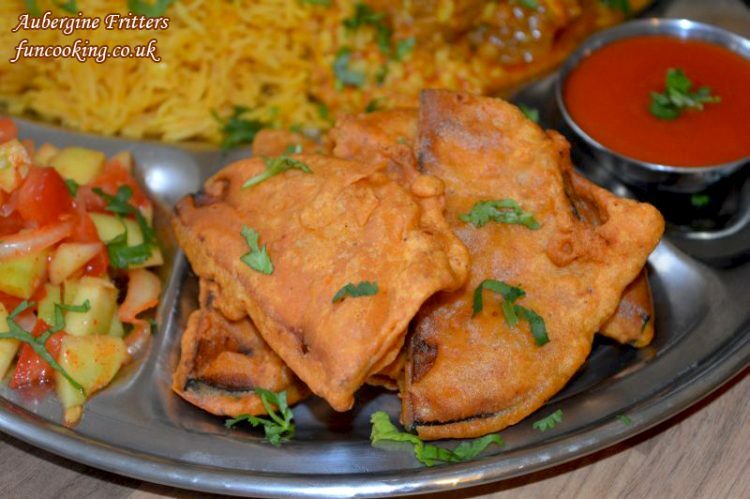 Aubergine Fritters or baigan pakoray. 2. 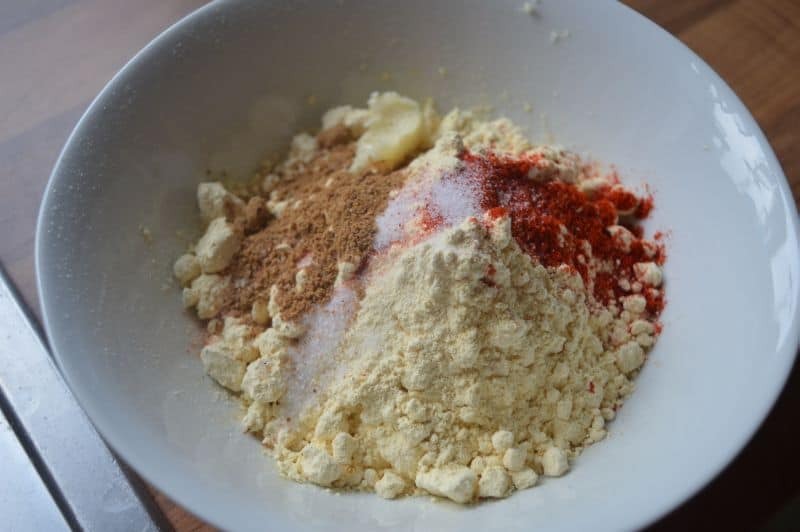 Add in water and make a paste. 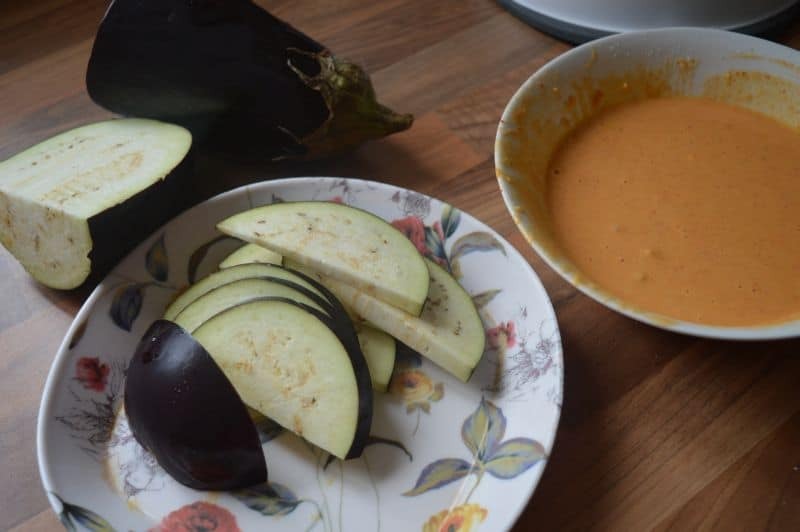 Cut aubergine in thin slices. 3. 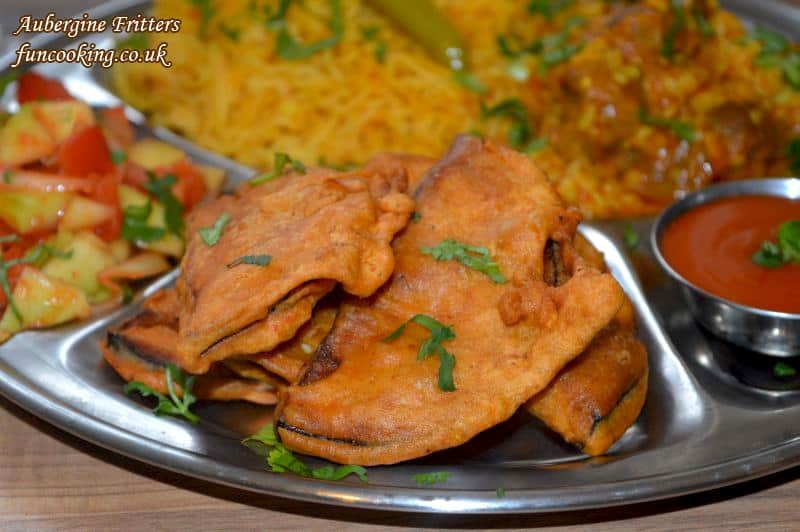 Dip the aubergine in gramflour batter and fry until cooked and golden brown. 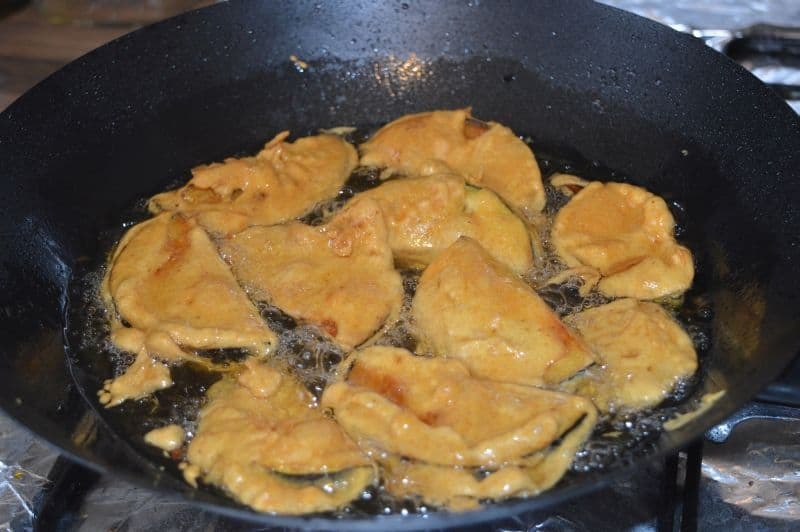 Aubergine Fritters are ready. Serve with any sauce you like.